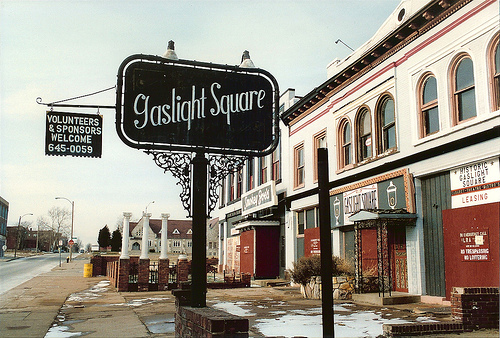 Gaslight Square was once the hottest entertainment venue in town and, in fact, was known throughout the world. It has been compared to Bourbon Street, Beale Street, and Key West, and nothing in St. Louis today can equal that two-block area at Boyle and Olive. 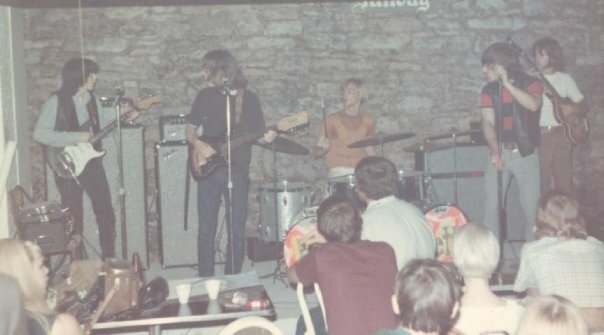 Gaslight once featured some of the most talented musical artists from the area and beyond. Yet, on a frigid Wednesday night, Jan. 10, 1962, the hottest spot in town was turned into a scene that, in my mind, rivals an icy landscape in Siberia. I knew the area well. When I was a teenager, I took the bus from north St. Louis County to Boyle and Olive each week to take drum lessons from a fine drummer and teacher, Roy Germauche. His studio was in the Musical Arts Building. A few years later, my band (the Bob Kuban Band) was booked at the Butterscotch Lounge. From the lounge, we watched the Musical Arts Building burn -- its flames consuming the Three Fountains Restaurant. I’ll never forget the firemen coming into “Butterscotch” to get warm, icicles having formed on their helmets and clothing. When I tried to walk across the street that night, it was like walking across a skating rink; the water used to fight the fire had frozen and was several inches thick. 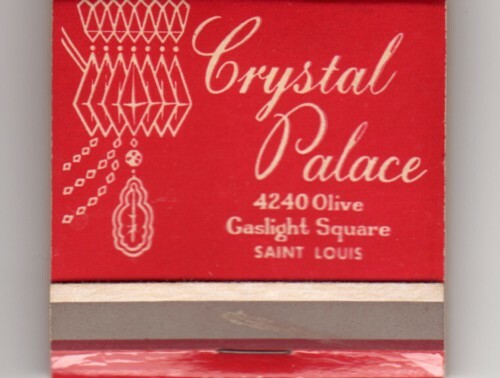 Two days later, the St. Louis Globe-Democrat reported that eight pianos - four grands and four uprights - were encased in ice and had actually been spared the flames of the fire. 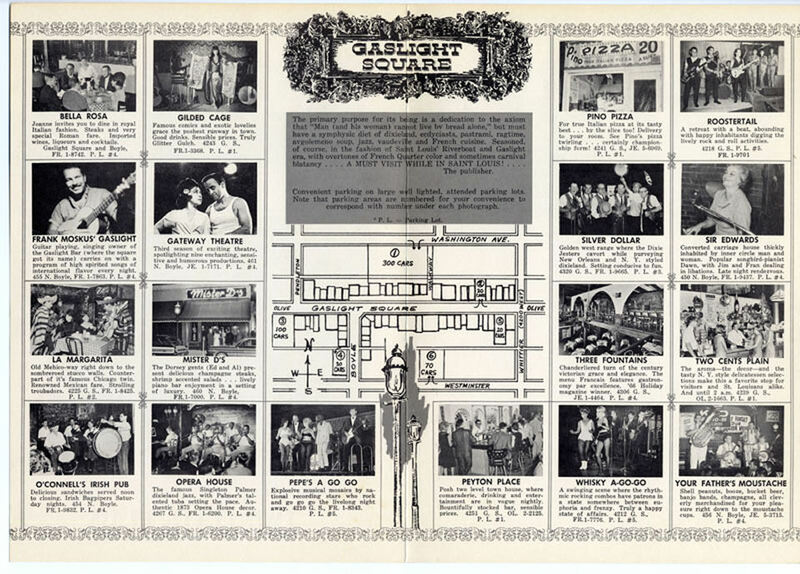 In the early 1960s, when Gaslight was first becoming a tourist destination, I played there quite frequently, and, for a year or more, I played there each night. During that time, some very special memories were made. For one, I saw and met the great drummer, Gene Krupa at Jack Carl’s 2-cents Plain deli. 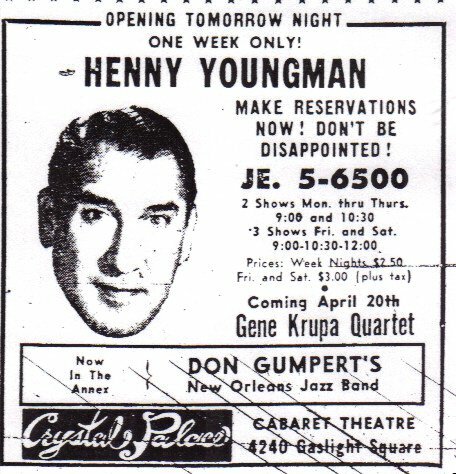 I was playing at the Living Room at the time, and it had been my routine each night to stop by the deli on my way home to get “carry-out.” One night in the dead of winter, I entered the deli and saw Gene Krupa sitting at a table by himself, eating a sandwich. I had admired this man since I was kid, and I felt like I just had to talk to him. I told him I was a drummer, and he invited me to sit down. We talked for about 15 minutes, swapping stories and anecdotes about drumming and how much he enjoyed playing St. Louis. He was very cordial, very welcoming. 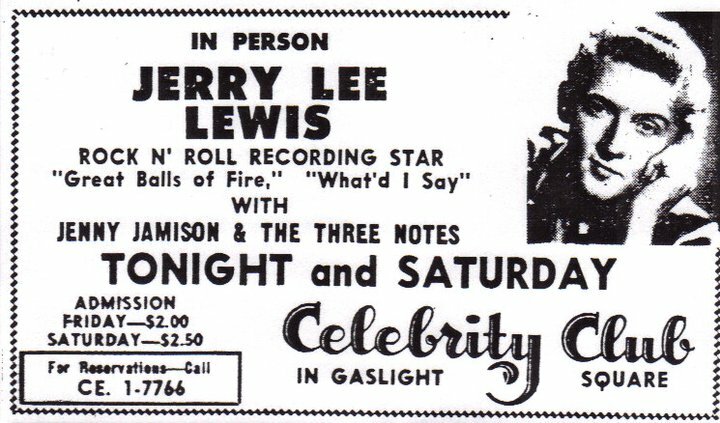 On that occasion, I believe he had come to town to perform at the Crystal Palace. 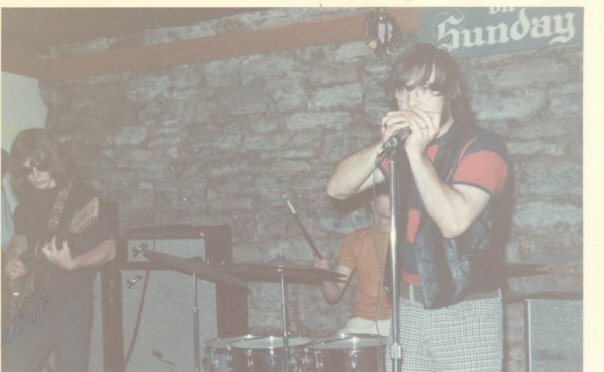 During 1963 and 1964, I played at the Living Room six nights a week, even though I was teaching school at Bishop DuBourg High School each day. During that time, I often saw some St. Louis Cardinal baseball greats and a newcomer named Lou Brock come into the lounge and do nothing to call attention to themselves. They wanted to be anonymous, and the other clientele respected that. While not a Cardinal “great,” Bob Uecker was certainly one of the most well-liked and funniest players to ever play on the team. He was a dry and witty humorist. Once, when some of the team arrived following a game at the old Sportsman’s Park, I asked him how (large) the crowd was, and he replied, “Well, counting the players on the field . . . ,” He was a very engaging guy. 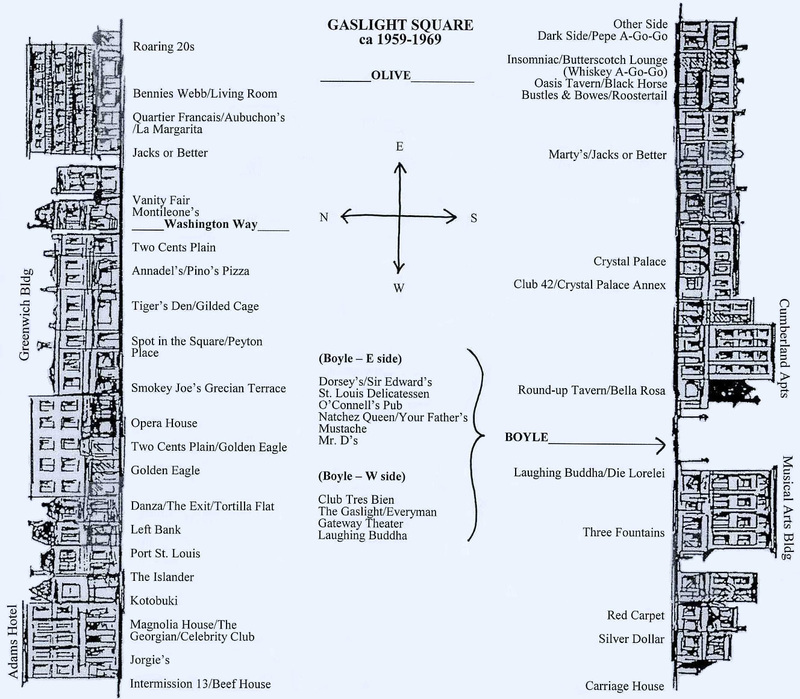 In recent years, St. Louis filmmakers Bruce Marren and Leah Ganz produced two documentaries immortalizing Gaslight Square. One was titled, “The Forgotten Landmark” and, the other, “The Legend Lives On.” In my opinion, both gave an accurate account of an era – from Gaslight’s Beatnik days to its demise in the early 1970s. In addition, Thomas Crone wrote a book about it, and a musical production also depicted Gaslight Square from a playwright’s perspective. Without a doubt, these art forms help preserve its history. But best of all, we have our memories. 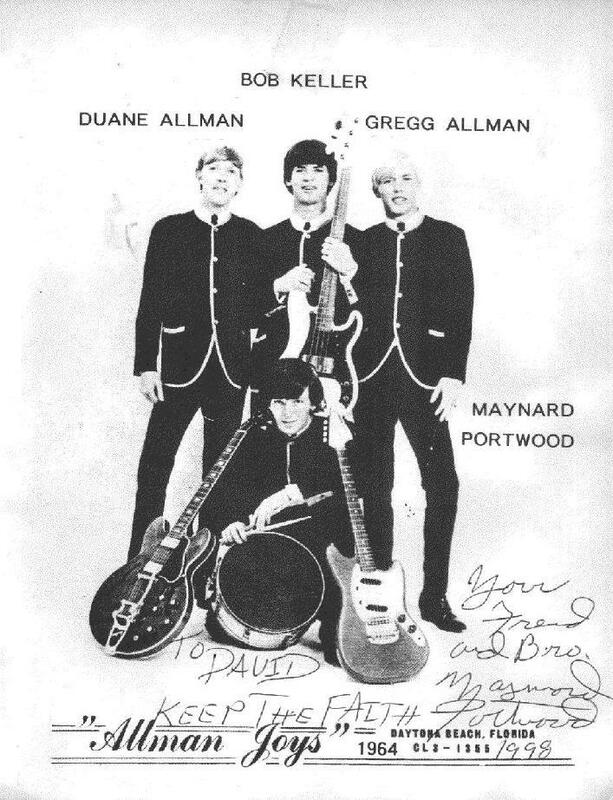 The Allman Joys performed often in the Square! 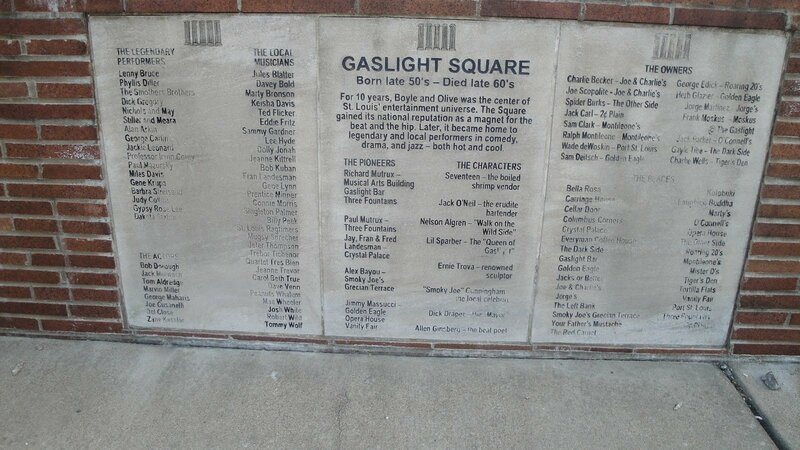 Despite all attempts to save and refurbish, Gaslight Square was, in the end, a phenomenon of the 60's!